“Tracking food waste takes too much time“, and so on. These misconceptions have meant people are hesitant to take action and reduce their food waste. We are here to break down these misconceptions. 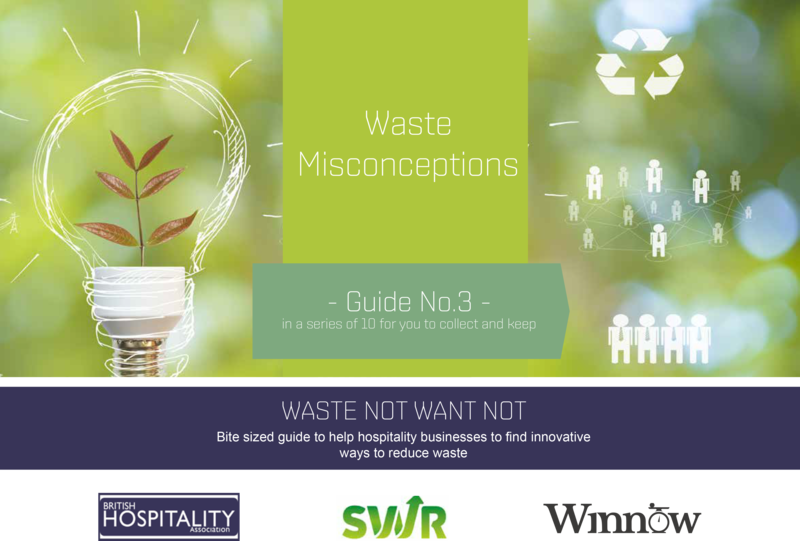 For the third guide in our ten part mini-series on waste, Winnow has collaborated with The British Hospitality Association (BHA) and Specialist Waste Recycling (SWR) to expose the 10 most common misconceptions and share top tips on how to solve waste challenges. Check out ‘Waste Misconceptions: Guide No. 3’ and find practical solutions to help your business save profit, time, resources, and waste. Also, check our first two guides with tips on how to motivate your team to reduce food waste and some quick wins on how to reduce waste to save money.